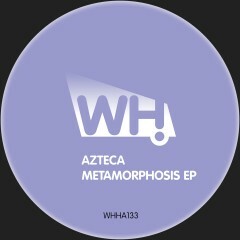 Romania’s Azteca makes his WH debut following some busy years with excellent releases on Mihai Popoviciu’s Cyclic Records, Akbal Music, Baile Musik and many more while building his profile as an artist on the global scene. He delivers what he does best, two cuts of low-slung grooves and dubby atmospheres. Last Of Me from Serbia is on remix duty with a truly stunning hypnotic take on the title track rounding off this quality EP.